Simon and I both had diaries growing up. Speaking only for myself, I have to say, keeping a diary was stressful. Every night, I would inevitably run out of time and fail to document the events of the day, such that by the time I finally got around to writing a diary entry, I would frantically attempt to document a week’s worth of fleeting moments, feelings, and experiences in one sitting. I find my preadolescent diary struggles pretty amusing in light of the fact that I’m about to attempt to blog about adventures from over 10 days ago. Some things never change! The Sunday before last, we decided to visit Soho. We’d heard rumors that some Manhattanites never venture north of 14th street, and figured it was time to check out what was so special about the lower parts of town. So we rode the 1 from 110th all the way to Houston. 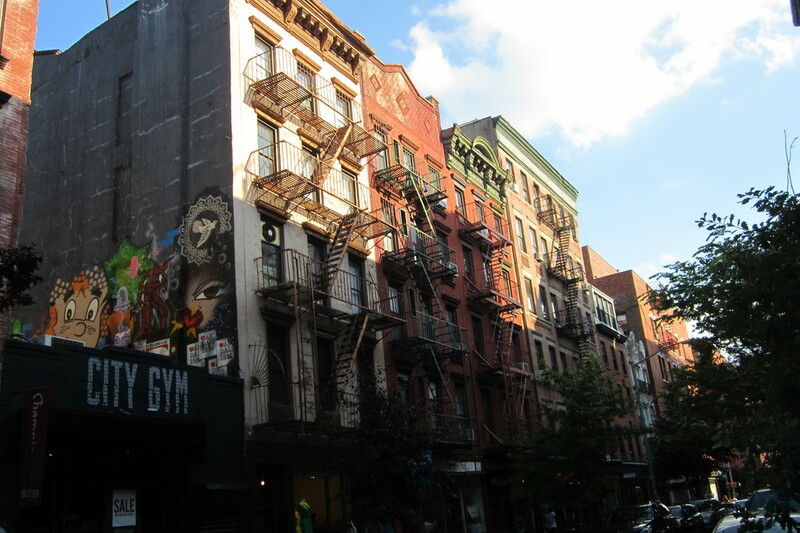 (Did you know that the name Soho is just an abbreviation for “South of Houston Street?” We didn’t. And yes, we did giggle out loud at the silliness of it when we found out). Getting off the train, the fact that we were in an entirely different neighborhood from home was immediately perceptible. Gone were the legions of Columbia students, the upper west side nannies and strollers, the energetic dog owners with their labradoodles and maltipoos. In their place we found mostly young, twenty- or thirty-something urban professionals with really good taste in clothing. Oh and also, some rather excellent architecture, food, and shopping. Soho embodied the stereotypical image of Manhattan that I think exists to some extent in everyone’s mind, and we thoroughly enjoyed it. The first stop on our itinerary was Sabon, a fancy soap establishment. 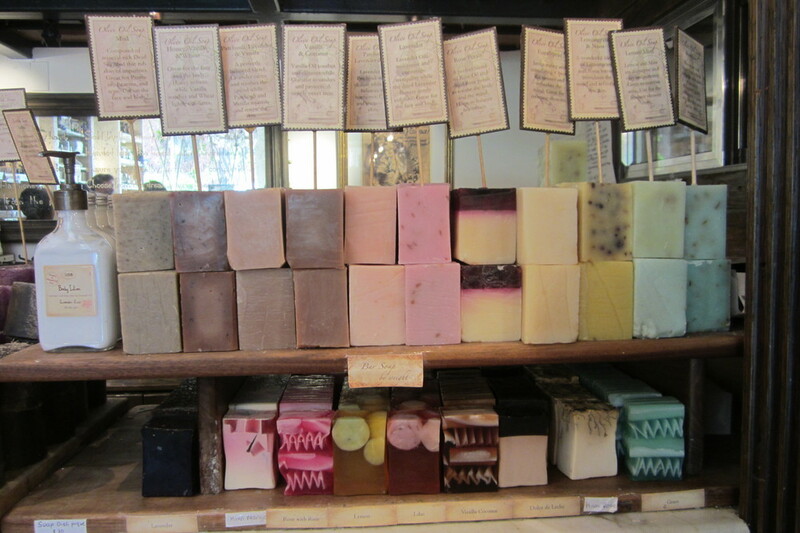 I was drawn in by the colorful and aromatic displays of handcrafted, artisanal soaps, as well as by the elaborate sampling station in the center of the store. Simon mostly just watched while I stepped up to the stone faucet, ran my hands under the water, and happily accepted a series of oils, exfoliating scrubs, lotions, and other spa-like implements from the store clerk. I thoroughly enjoyed the impromptu pampering, and left Sabon with silky smooth skin and a few mental notes of things to add to my birthday wish list. To keep Simon happy as well, we walked into a Samsung store, which could more accurately be described as a Samsung theme park. The place did not actually sell Samsung products. 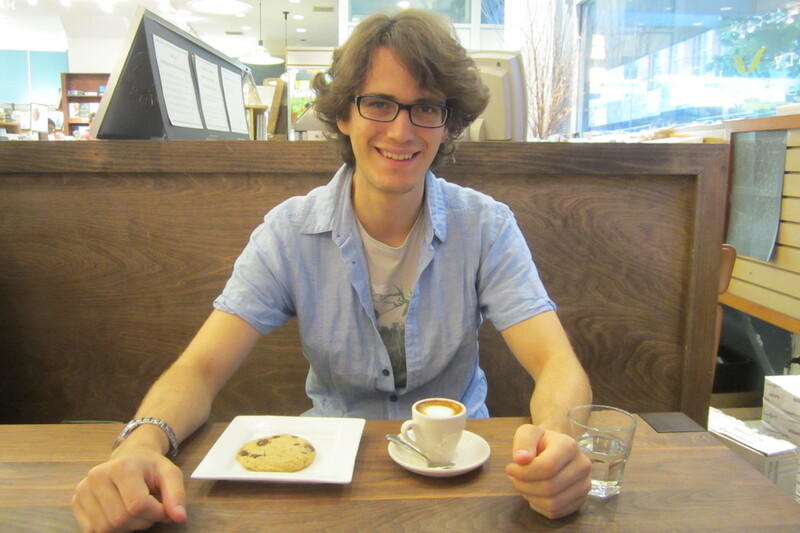 Rather, it allowed you to play with various prototypes and get free things in return, like a T-shirt, a shot of espresso, or a spinach and feta pastry. So like children we played, we got free things, and we were happy. I may forever feel partial toward Apple products, but Samsung definitely scored a few points in my book! When we could no longer suppress the hunger pangs, we beelined for Tacombi, a taqueria that had been on my list of restaurants to try since the very beginning of the summer. The place was wonderful, first and foremost because of its atmosphere. It was located inside what appeared to be a refitted warehouse, complete with exposed pipes, concrete floors, metal folding chairs, and a colorful and carefree paint job. As if that weren’t awesome enough, our tacos were served not out of the kitchen at the back of the restaurant, but out of a vintage Mexican food truck sitting right in the middle of the warehouse. We felt like we’d been transported to either a surfing town in southern California or a fisherman’s village somewhere in Central America. The vibe was so very relaxed—in stark contrast to most of Manhattan. And the food itself was fantastic! So simple, so fresh, so flavorful, so authentic. We ordered guacamole and four kinds of tacos: pork belly, crispy fish, “maiz y poblano”, and “huevos a la Mexicana”. Words can’t quite do our full experience justice, but I think our photos come close. Our last stop was a lovely independent bookstore called McNally Jackson. Having just visited Strand the night before, I initially wasn’t keen on spending another evening browsing through books, but Simon convinced me otherwise and it turned out to be entirely worth it. McNally Jackson was a more intimate and inviting sort of space. It housed a significantly smaller selection than Strand, but the titles all resonated with me. While Simon wandered through the science fiction aisles, I spent most of my time in the indie novels section and the cookbook corner. Together we also came upon a really neat print your own books station, and resolved to go back someday with a creative writing project in tow. After an hour or so of browsing, we settled down in the store’s cafe, where we proceeded to sample the latte and pastries and soak up the literary decor. I almost began reading one of my purchases of the day—an autographed copy of the novel California, by Edan Lepucki—but it was approaching dinner time and we were about ready for the comforts of home. We’ll be returning to McNally Jackson frequently in the wintertime though…there’s nothing quite like a cozy world of books and coffee on a blistery cold day. To finish off what has felt more like an excerpt from a travel guide than a contemplative blog post about the city, I shall leave you with the addresses of our new favorite Soho (and Nolita) spots, should you wish to spend an afternoon exploring the land below 14th street in the near future. Happy adventuring!